Do you want more leads to come through your consulting website? If you think your site-wide lead magnet is diluted and not specific enough to entice prospects to sign up for your list, you may be right. You may be leaving a lot of leads on the table. Site-wide lead magnets work OK — but you want to be generating new leads every single day instead of every week or month. You’re confident that you could improve your conversion rate and get more leads through your website — but you don’t quite know how. After all, you are using your website to generate leads. And the more leads it generates for your consulting business, the more headaches it removes. As a consultant, your advice is your product. Your articles are a free preview of your advice and serve as an introduction to your services. The other pages on your website tell your prospects about who you are and who you help — but your content is what educates them and builds trust. Your articles are the most important “pages” on your website. When done right, they will bring you the most traffic and leads. Inserting lead magnets specific to your articles is one of the fastest ways to increase the amount of leads you get through your consulting website. If you’re a management consultant writing an article on ag equipment product design, your content upgrade would be a resource related to ag equipment product design. As an upgrade, this could be something like a case study, whitepaper, or checklist. Here’s an example from my own business. I wrote an article called “22 Best Consultant Websites (And Why They Have Them)“. Given that this article is about great consultant websites, I am confident that most readers are consultants interested in what makes an effective consulting website. This makes my “High Converting Consultant Landing Page Template” an ideal “content upgrade” for this article. People reading one of your articles are interested in the topic (and the result) that this article will help them achieve or understand. If you want to get them onto your email list, offer them a resource directly related to the topic of this article. Ideally, this resource will help them achieve or understand this topic faster. They are more likely to give you their name and email address in return for this resource if the resource is directly related to what they are reading about. With a generalized, site-wide lead magnet, you are guessing what your prospects want. Your lead magnet may be compelling, but it’s not as compelling as an offer that is directly related to what your prospects are learning. Content upgrades convert better, are less intrusive, and bring you more leads. Your site-wide lead magnet has its place. That said, you are better off using your it as a quick, easily digestible resource. It should be draw intrigue and get people in your target market curious about what else you have to offer. When someone clicks on to one of your articles, you learn something valuable about them. You get a sense of what it is that they want to learn. Chances are, they are already aware of the problem in their business, and they want to learn how it’s solved. Your blog article is your chance to teach them — and also to get them onto your email list. Chances are, they are already aware of a problem in their business, and they want to learn about possible solutions. Your article is your chance to teach them — and to get them onto your email list. The more granular and specific you can get with your marketing, the better results you will have. A general opt-in is fine for your home and about page. For your articles, you want to craft a lead magnet specifically to what your reader wants to learn about. Prospects who download content upgrades are “Slowlane” leads. They’re most likely already aware of their problem (hence why they are spending their valuable time reading your content). This means that there is a much higher chance they desire to learn about the process that can solve their problem. Once you can do that, they are one step closer to hiring you to solve this problem for them. Use Google Analytics to learn what your most popular content is. If you’re not comfortable with Google Analytics yet, or don’t have it installed (you should! ), think about which of your articles has the most comments or shares. If you have a particular piece of content that your clients and prospects have thanked you for, then start with that. Your top performing article has touched on something your clients and prospects care about, and you want to make the most out of it. 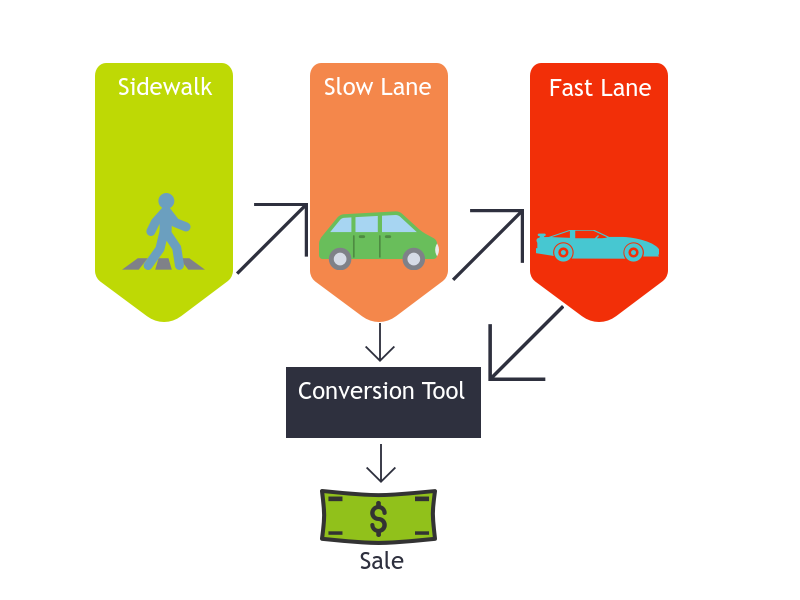 It’s one of the pages on your website that’s bringing you the most traffic — traffic that is more willing to convert. It’s one of the pages on your website that’s bringing you the most traffic — traffic that is more likely to convert. Think about what this article helps your reader achieve. What understanding do they gain from this article? What are they able to do as a result of it? What “pain” does your article take away from your readers? Your content upgrade should simply be something that helps them achieve this result, or get rid of their headache, faster. This can take many forms: a whitepaper, report, case study, checklist, etc. All it needs to do is help the reader of this specific article achieve the result they are looking for faster. Use Content Upgrades Pro to implement your content upgrade into your article. 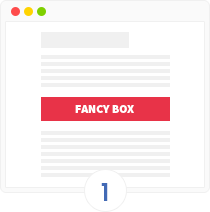 Near both the top and bottom of your article, insert your content upgrade offer. Content Upgrades Pro makes this simple, and it connects to your email list easily. Make sure that it stands out, but doesn’t intrude on the reader’s experience. It should flow naturally into your article. Sell them on taking action. For best results, configure your email marketing software to let you know which content upgrade that your new lead downloaded to get onto your newsletter. This will give you a talking point for contacting them now that you know exactly what they are interested in. You should aim to do this for the top 20% of your articles on your website. Creating one for every single article is overkill, and will water down the value of your content upgrades. Create them only for your top performing articles. If you can create useful content upgrades for your best articles, they will have the highest conversion rate throughout your website. They will also help you understand what each new lead wants to learn about (and what their problems are). This gives you the information you need to get in touch and develop a relationship with them. Content upgrades take time to create, and you want to make sure that you’re getting the most out of what you create. 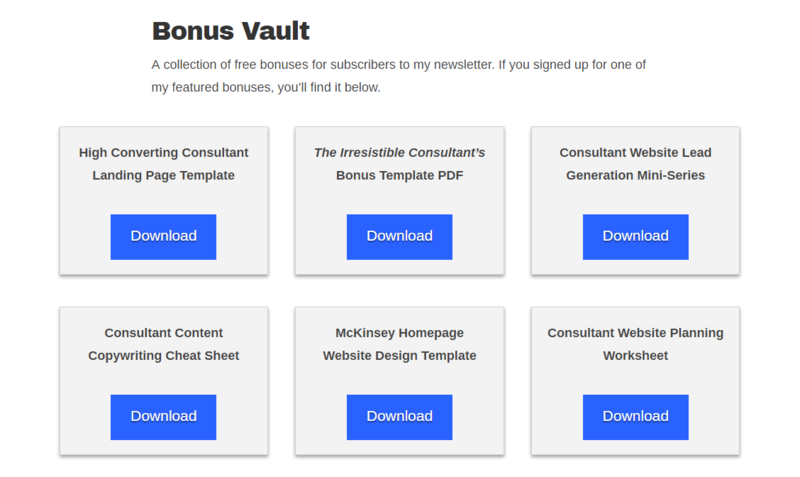 Once you’ve created 3 or 4 content upgrades for your blog articles, create a “bonus vault” page on your website that is limited for subscribers only. Put password protection on it, and send this password to your new subscribers once they opt-in to your list. Put a dollar value on it — and use it in your copy to persuade prospects to join your list. This page will make your subscribers feel special — as if you’re sharing a secret that’s made just for them. Here’s how you can create the perfect content upgrade. Eventually, you want to do this for all of your top posts. Keep it simple with your first content upgrade. Just create one for your most popular article. Or you can write an article about a lead magnet that you are currently offering. 1. 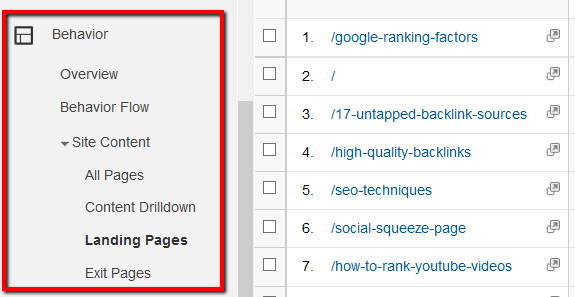 Log into Google Analytics and take a look at your highest traffic article on your website. 2. Write down what this article helps your reader achieve or understand. 3. Brainstorm a resource (whitepaper, case study, webinar, story, checklist, etc) that would help them achieve this result faster. 4. Create the content upgrade that is easiest for you to write, and that is most helpful to your reader. 5. Use Content Upgrades Pro to implement this content upgrade into your high-performing article. Get in the habit of creating content upgrades for the top 20% of your content, and you’ll generate far more leads through your consulting website.